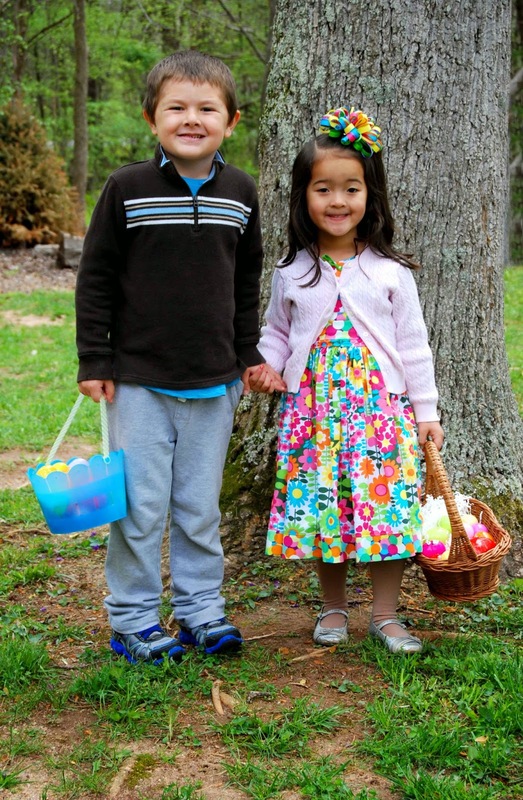 "My friends, Jackson and Macy had their annual Easter Egg Hunt, today!" 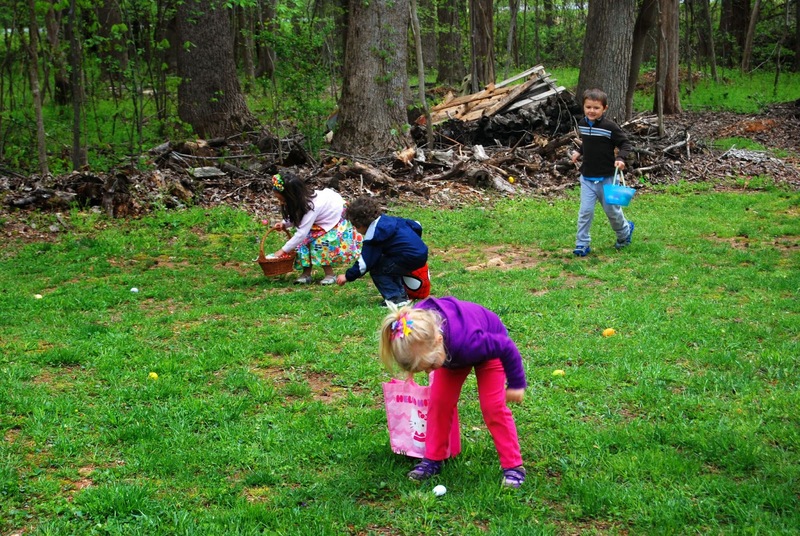 "We searched for plastic eggs! The pink ones are my favorite!" 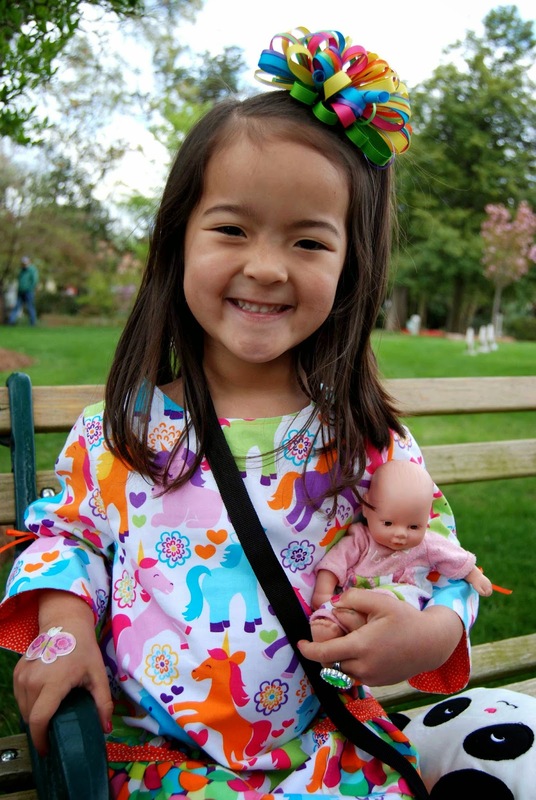 "I got to show off my pretty Party Dress by the Cottage Mama, that Mommy sewed for me. "Best part? I got to hang out with my friends (like Connor ;) and have fun! I have already been to Urgent Care, this morning, and called Katy's pediatrician more times than I care to admit. We've been through a pulled elbow (or, as the Urgent Care doctor called it, "nursemaids elbow") and a cartwheel-like-trapeze-swinging tumble from our friends' sky-high clubhouse landing. If I hadn't just been through the whole elbow/Urgent Care thing, this morning, I don't think I would have reacted so hysterically when Katy fell off the clubhouse ladder. Suffice it to say that I screamed.... Loudly....! 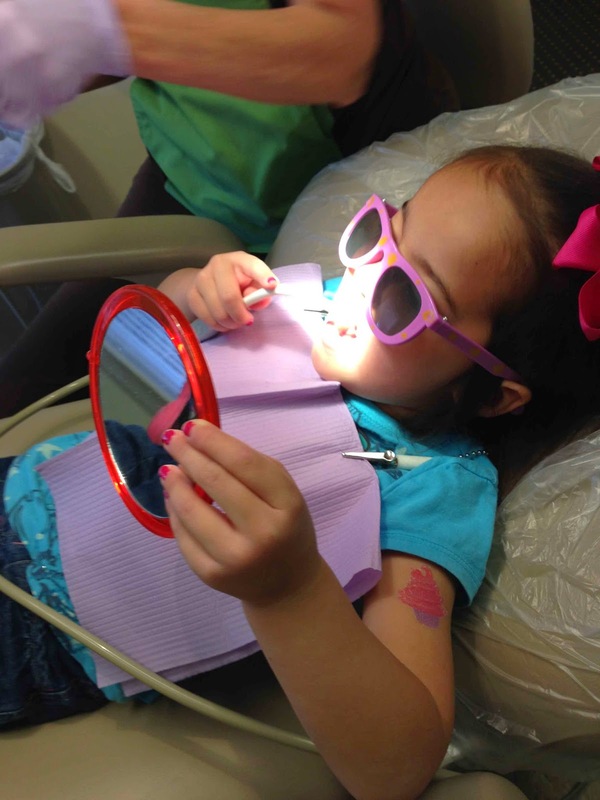 Sterile, plastic bubble, please! No more falls, breaks, sprains or dislocations. No more scary moments when your heart literally stops and jumps out of your chest. No ma'am. I am done for the day. Katy and I were recently jamming out to tunes on the radio when the 80's classic, "We Built This City" started playing. Immediately, Katy exclaimed, "The Muppets!" ("We Built This City" was featured when the whole Muppet gang is cleaning up the old studio in "The Muppets Movie"). She then proceeds to sing right along (knowing more words than I do, to the song). Like her father, pop culture references somehow always relate back to the Muppets (and not the ACTUAL, true point of reference). So her Daddy's daughter.... (and fellow Muppet lover, too!)!! 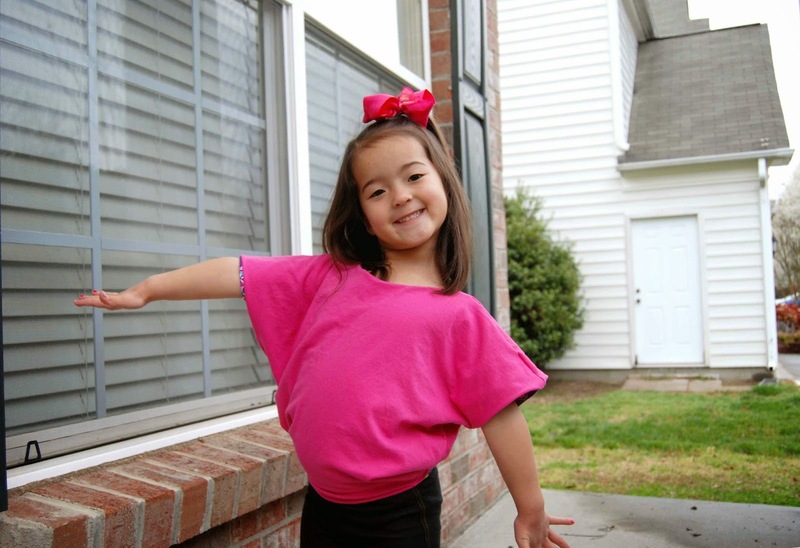 Yesterday was Katy's last day of Preschool before Easter/Spring break. Katy was talking to her teacher from last year, Ms. Amber. Ms. Amber asked Katy what she was doing for Easter. Pointing her finger upwards, she replied, "We're going up there- not heaven- just New Jersey, to visit my Nanny and Poppy." 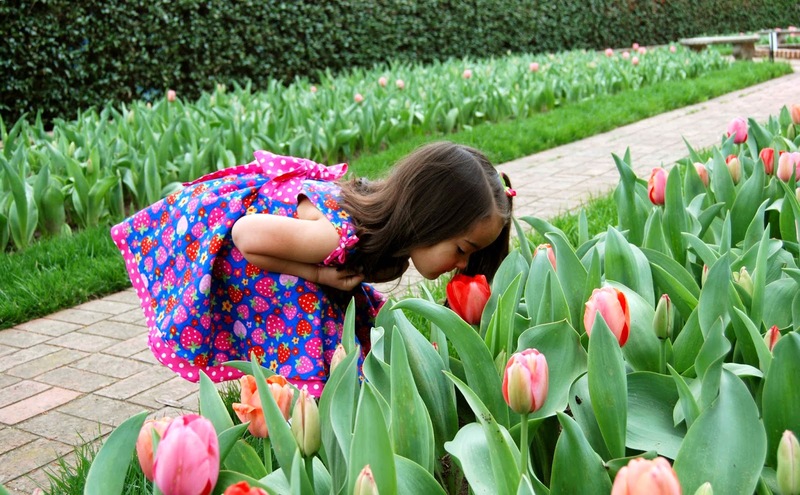 Warmer weather is quickly approaching, but not as quickly as your kids grew out of last year's clothes! It's time to start stocking up on this season's styles for spring. Luckily, Crazy 8 is offering 20% off markdowns so your kids can get everything they need (and some they don't!) without cleaning out your wallet. That's up to 60% off! The sale starts tomorrow (4/10) for a limited time, so hurry before it's gone! 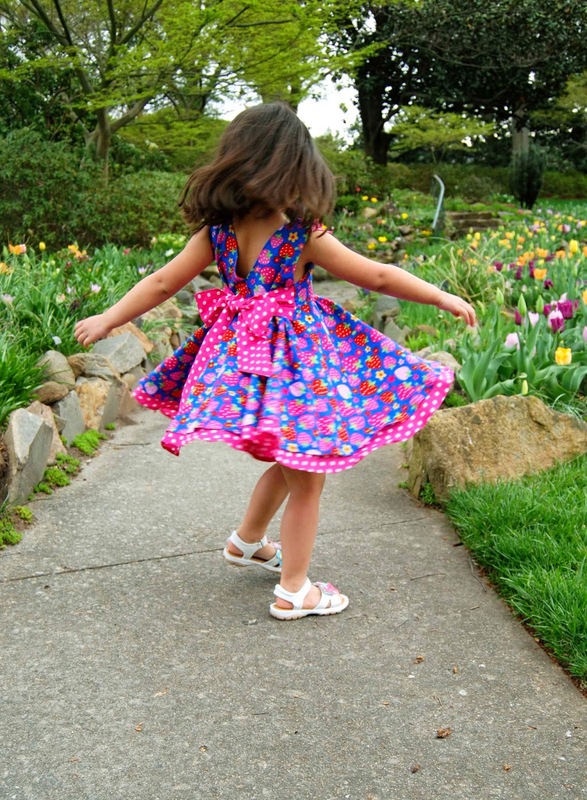 Circle Dresses are make twirling FUN! 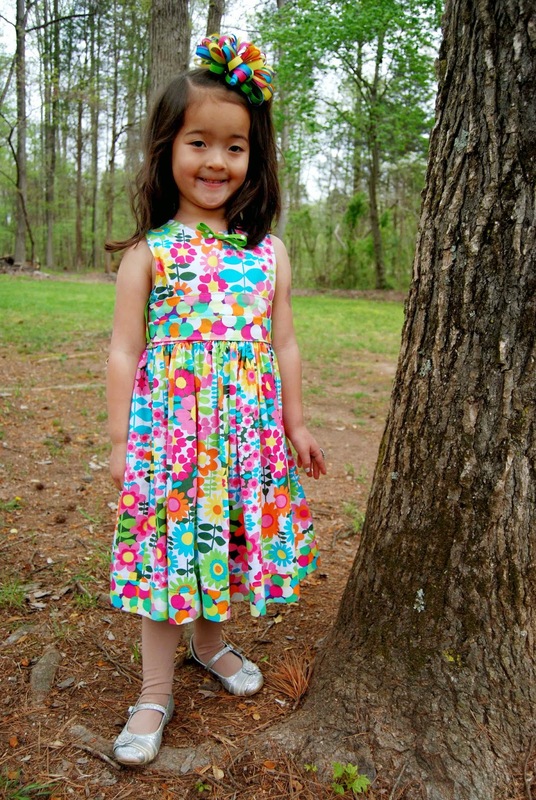 Presenting another sweet pattern from Amelie Clothing- the Adria Circle Dress! With a full circle skirt, this dress has lots of twirl factor! 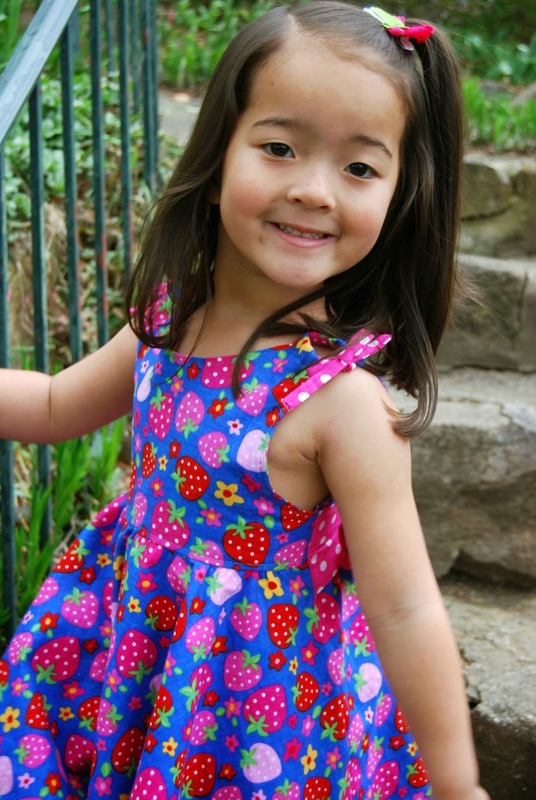 Lil' Miss received so many compliments when she wore this dress. 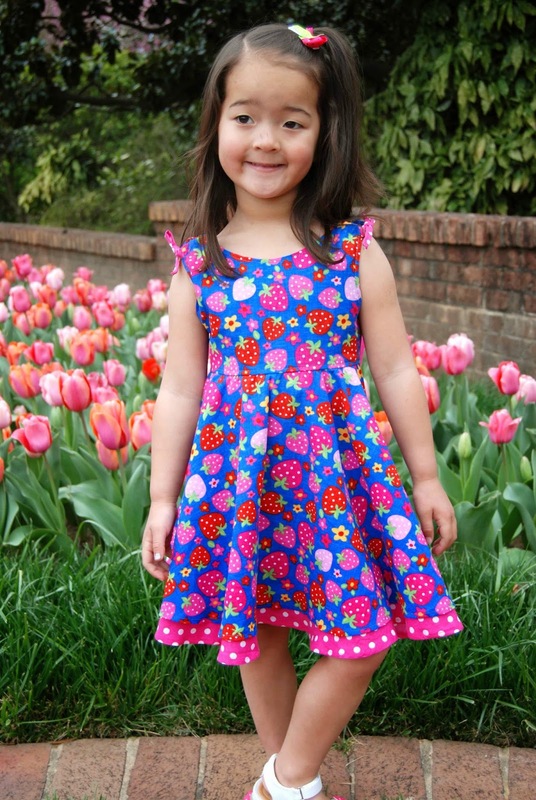 I already have visions of other Amelie Clothing- Adria Circle Dress, done in other fabrics/combos, in the near future! I love the attention to detail on this dress. The shoulder seams are attached by a little ribbon that you sew within the pattern. The full circle skirt is twirly, flouncy and fun. With the two layers on the skirt and the lined bodice, this dress has lots of coverage and no see-through factor. As with all Amelie Clothing patterns, the tutorial and pattern and easy to read and follow. The pictures aid with the understanding of each step. 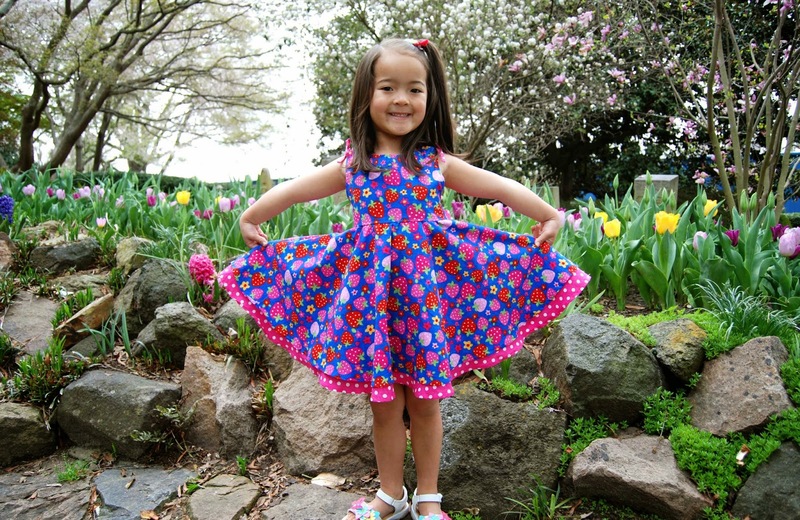 The Amelie Clothing- Adria Circle Dress pattern is for sizes 2T- 10. I would highly recommend this pattern! On the way home from visiting with some friends out of town, we stopped at Target. We split up so that I could get some towels and Katy and Ted went to retrieve the reusable shopping bags that we keep in the trunk of the car. When they had re-entered the store, Ted told Katy, "Okay, Katy- be on the look-out for Mommy. She should be around the towels." 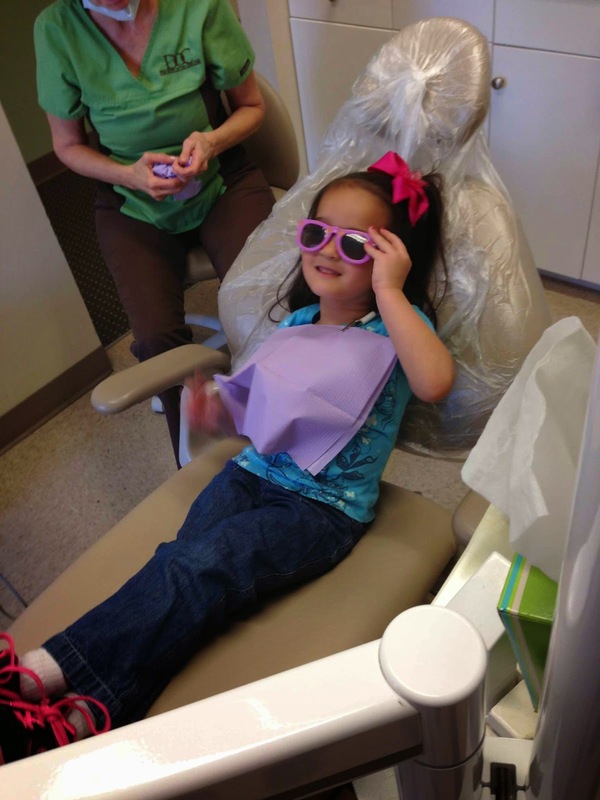 Katy thoughtfully replied, "Hmmm..... Mommy's kind of a pop shorty. This is gonna be a toughie.... OH MOMMY!!! WHERE ARE YOU!!!" 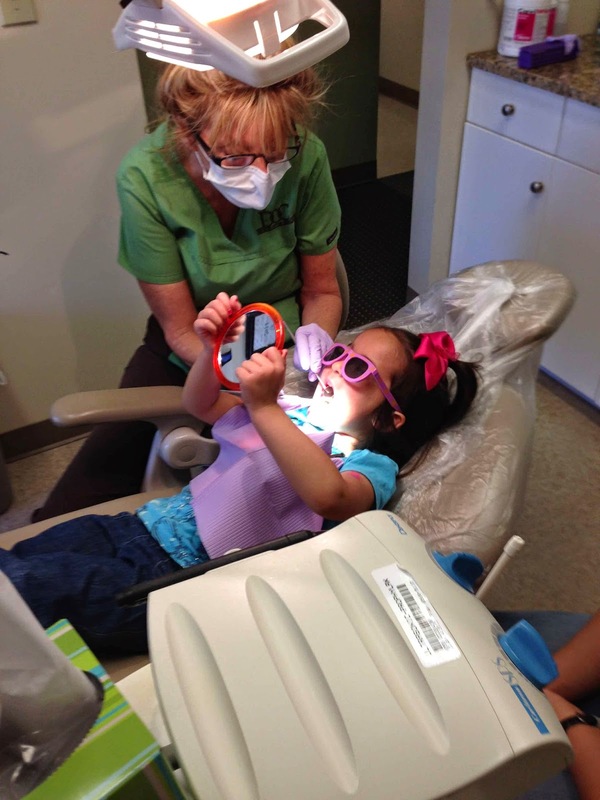 Love that girl- she makes me smile! I've a got a sewing confession to make... I am scared of knits! Rather, I WAS scared to sew knit fabrics.... not anymore, though!! Susan, of Amelie Clothing, recently contacted me about an upcoming pattern that she wanted me to test- the Reversible Simple Tunic. I saw that it was made of knits and I immediately wrote back, "Thanks, but no thanks." Susan insisted and I relented- I decided to give knits another try. I am so glad that I did!! First, I read several articles floating around the internet about how to sew knit fabrics. There are several conflicting ways to go about sewing stretchy materials... twin needles vs. single... walking foot with straight stitch vs. walking foot with stretch stitch... pins vs. no pins.... and you wonder why I was scared to work with knits?? Then, I watched a series of YouTuble videos by the Crafty Gemini. Having a visual of all the intricacies of working with stretchy, knit fabric, really helped me understand how to best approach sewing the Reversible Simple Tunic. So, I broke out my sewing machine's walking foot for the first time and installed it on my machine. I figured out which stitch setting is for sewing with knits- number 3 on my machine- kind of looks like a lightening bolt. I purchased a ball point needle and set to work. I put together the pattern pieces, cut out my fabric and press the start button.... and I promptly broke my brand new needle.... what luck! Not to be deterred at my new mission (sewing knit fabrics), I installed a new needle (thank goodness I bought a multi-pack of ball point needles! :-). Turns out, I hadn't properly installed the walking foot and that's why the need broke. Lesson, learned. At first, I went really, really, really slow. Then, as I built my confidence, I started sewing to my normal speed... and you know what? It's really not that bad. It's really not that scary to sew stretchy, knit fabric. I might even go as far as to say that it's kind of FUN to sew with knits.... watch out, now! Knits don't ravel, so you don't need to hem them. Knit fabrics are great for making kids clothing (and there are so many cute patterns out there for working with knits- Amelie Clothing- Reversible Simple Tunic, being one of them). Back to the pattern, though. Amelie Clothing- Reversible Simple Tunic really is simple. It's straight-forward, it's basic and it's a great entry into the world of sewing with knit fabrics. As always, the directions and pictures in the tutorial work well together to help direct and guide you in the creation of the Reversible Simple Tunic. The end result is a super cute reversible top. I love the fit of the waist and the flowy sleeves of the tunic. 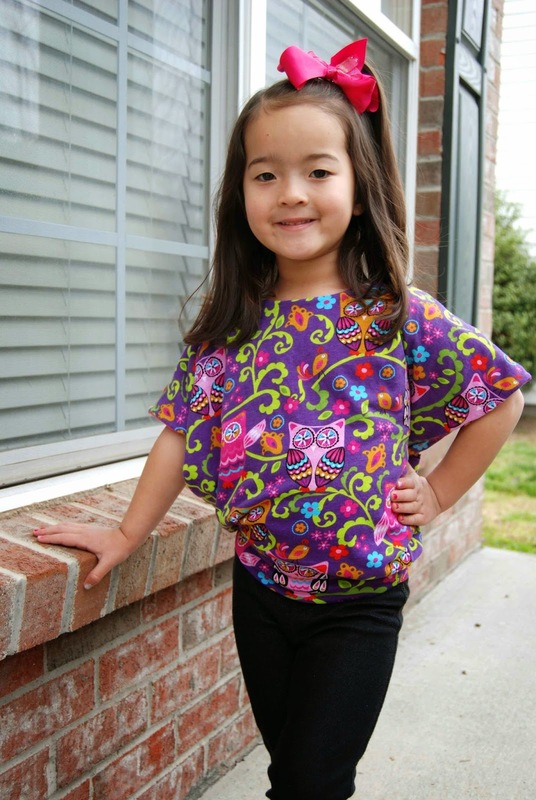 Lil' Miss said that it was comfy and she insisted on wearing the tunic to school, the next day. I am so, so grateful that Susan gave me a little "push," and urged me to try the Amelie Clothing- Reversible Simple Tunic pattern. It was a great first knit project and confidence booster. Thank you, Susan, for your guidance and another wonderful pattern! This one's a keeper, for sure! !